How to make Kadhi Pakora recipe with step by step photos -Kadhi pakoda or kadi pakora is a traditional and authentic dish when you were looking for some Indian comfort food. Punjabi kadhi is a Indian yogurt based gram-flour curry with onion fritters and seasoned with spices and usually served with rice. Again this is my mother recipe of making traditional Punjabi kadhi with pakoda's, she has been making this kadhi since ages. Very easy and simple recipe to follow. “Kadi Chawal” is a delicacy loved by all because of its tangy taste. Each state has its own versions of kadhi, there is Sindhi kadhi, Rajasthani Kadhi, Punjabi kadhi and so on. Below is the recipe of authentic Punjabi Kadi pakoda which is basically with fried onion fritters (pakoda's) soaked in a curd and besan or gram flour sauce (kadhi), tempered with light and mild spices. The Punjabi kadhi is different from other regional kadhi dish because it is more thicker and creamier also. It is best accompaniment with rice, roti and paratha. I just love kadhi pakoda with rice. This is one of the famous authentic dish but now-a-days its famous around India. I just love to eat kadhi with boiled rice and you can also have it with lachha plain paratha. 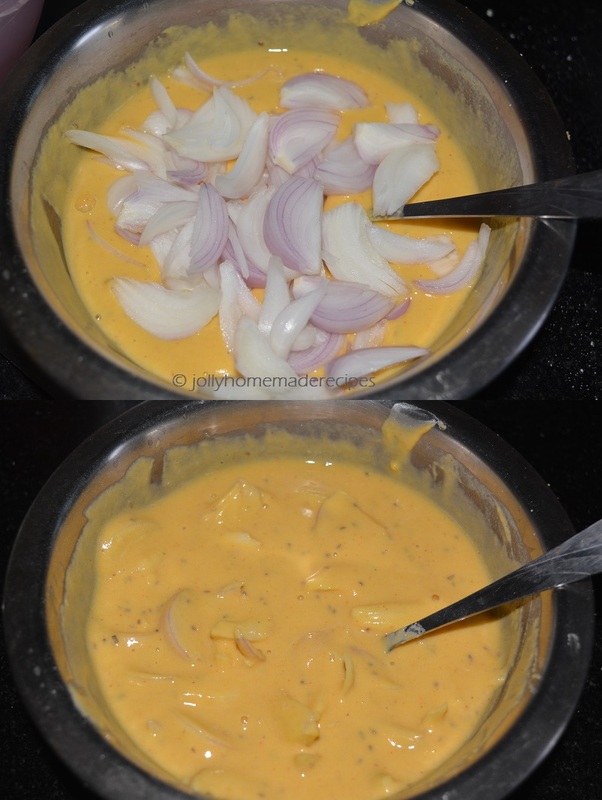 For this recipe of kadhi pakora, I have prepared the pakoras with only onion. but I love pakoda with kadi, simple plain kadi I usually not preferred. It's totally depend on your choice. I have used sour curd, if you don't have sour curd at your home you can used fresh buttermilk, it gives the proper tanginess to the curry. 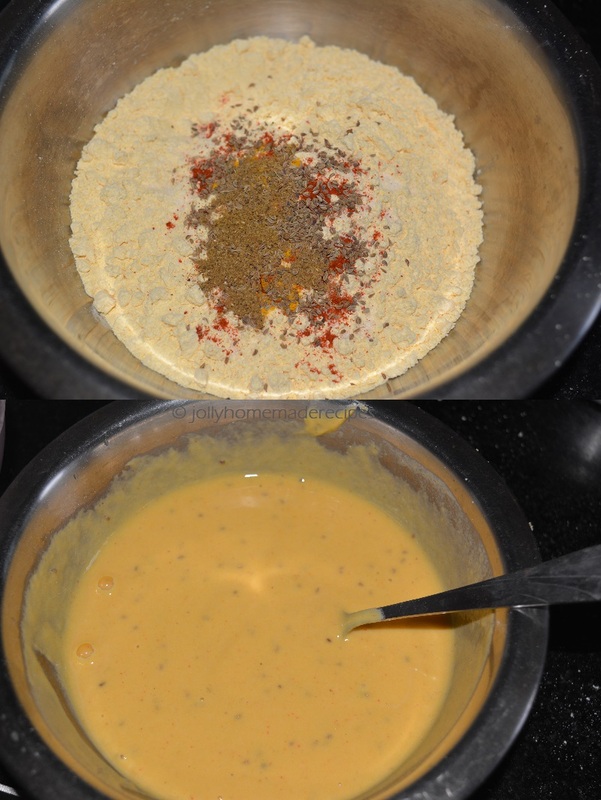 Learn how to make Punjabi kadhi pakoda by following this easy step by step process with images. **Tip** You can make plain pakode's also without adding anything on the above gram flour batter. This is onion pakoda recipe. I can make pakoda in both ways plain sometimes onion pakoda !! 1. 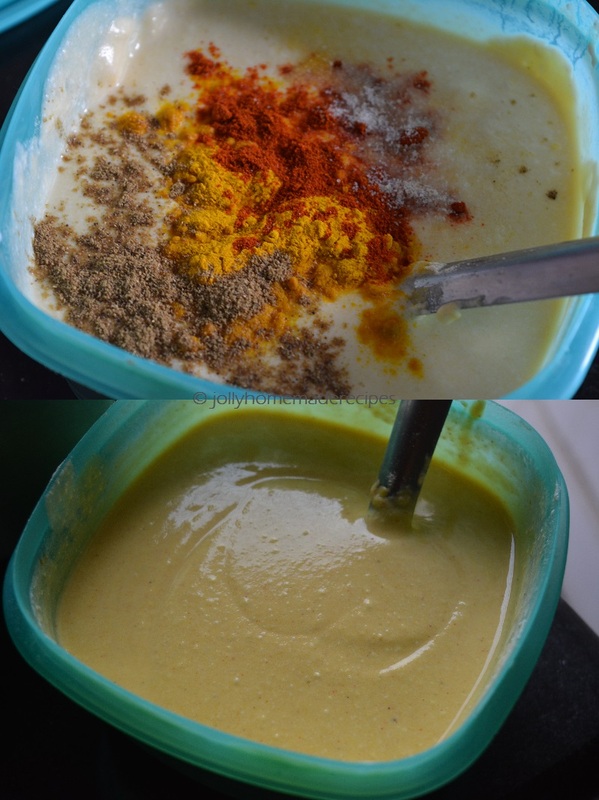 In a bowl, add gram flour/besan with carom seeds, red chili powder, pinch of haldi, garam masala powder and salt. 2. Pour a little water, mix it very well, make a thick batter and keep it aside for some 10-15 minutes, check the salt and spices, and add more if required. 3. Add sliced onions into it and mix well. 4. 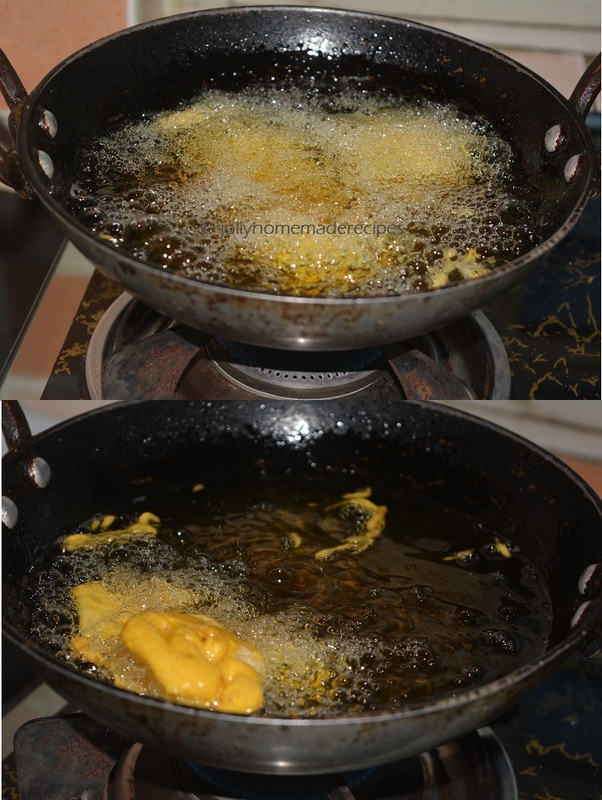 Heat oil in a kadai and deep fry the pakoda's. Fry the pakoda's till they crisp and browned. 5. Drain on kitchen paper napkins or tissue paper. Keep the pakoda's aside. and add all spices mentioned in above ingredients - turmeric powder, red chili powder, garam masala powder and salt. Pour water, mix the contents well and make sure there are no lumps. Can you see the flour lump that means i have to dissolve the lumps well. 2. 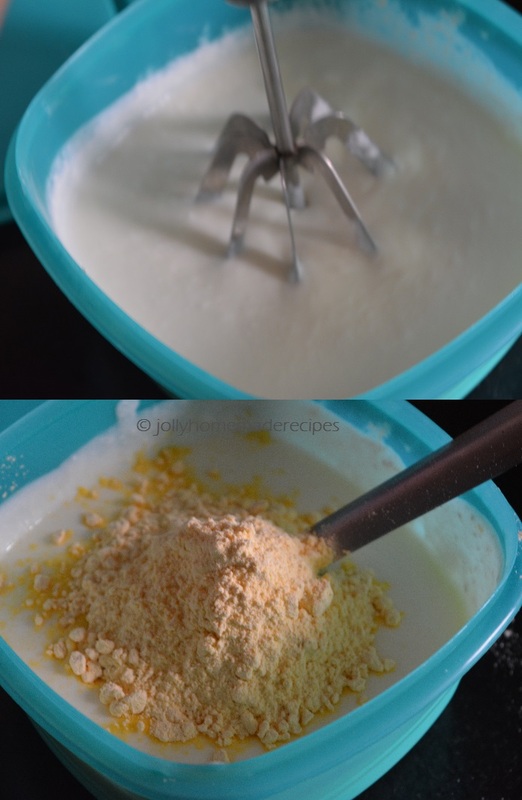 Use a spoon to dissolve the lumps into the curd. 3. Now take a large deep pan, I used pressure cooker, heat vegetable oil, add cumin seeds, methi seeds, mustard seeds and let them sizzle. Now add dry red chilies and curry leaves !! 4. Add chopped sliced onions and inch of hing...cook it till transparent !! 5. Now pour liquid gram-flour +curd mixture into above tadka. Mix well. 8. Add the fried pakoda's to the hot kadhi. Cover and close the pan. Let the onion pakoda's be soaked in the kadhi for some minutes. 9. Serve the punjabi kadhi pakora with warm rice, roti, paratha. This curry is my favorite,pics step by step are great. I love Punjabi kadhi. And your kadhi looks super tempting. This is a comfort meal any day.. love it. Soul foods are always the best, and I am a die hard fan of kadhi chawal your post is tempting me to have some now. My kind of comforting food, though am a South Indian, just love kadhi with some rice and papads.. I will be the happiest person in the world. Wow what a tempting treat. Kadi pakoda is very comforting food .. love it. Beautiful pics .. So creamy and tempting. So comforting to have it with some rice. Haven't made one in a long time. Kadhi shawl looks yumm, this is thermal soul food . Kadhi pakora is one such dish that every Punjabi relishes. I make it every week still never get bored of it. I just had my lunch even then drooling at your plate of rice and kadhi. I should try your version sometime. Love kadhi in any form, yours looks delicious. Piping hot Punjabi kadhi pakoda with steamed rice is my idea if a comfort food on a rainy day.The kadhi looks lipsmacking and i am craving for it now as the weather today is perfect to enjoy this treat . Jolly you wont believe what I am going to say. I do mane my kadhi like this since 2007. 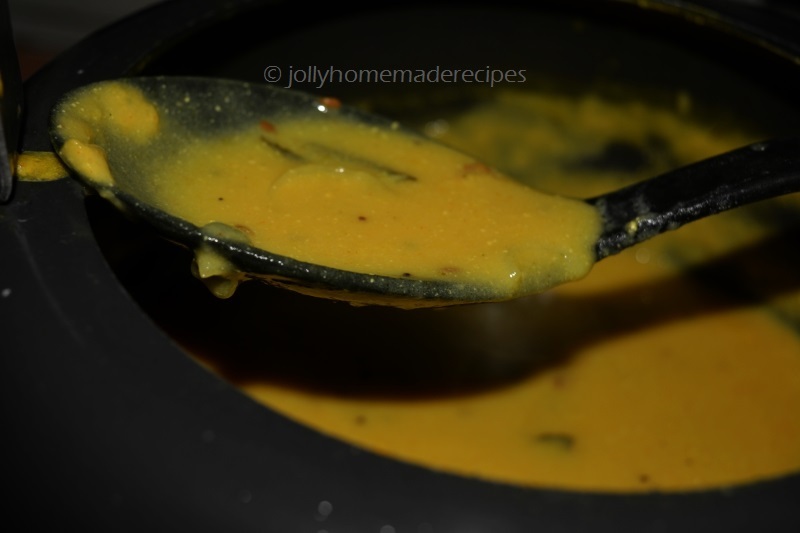 And with so many spices this kadhi is full of flavors and so aromatic. And I make onion n potato pakora instaed of plain besan dumplings. Cant believe this similarity. Although I have grown up eating Gujarati and Rajasthani kadhi, there is a Punjabi kadhi appears on our table too. If someone in the family has sore throat there will be Punjabi kadhi on the menu. Such a comfort and humble recipe. Kadhi pakora is my weakness, I just love it to the core. Yours looks so yummy and mouth watering.